We were grateful the host could connect to us via texting regarding our arrival. This made the time very flexible given we were dealing with flight and train schedule that often get disrupted by delays. Really appreciated having a nice restuarant just outside the front door. Quiet neighborhood which felt safe and clean but walking distance to shopping, and public transportation. Loved having washing machine! Finished and decorated to a high standard, good quality fittings and very clean. 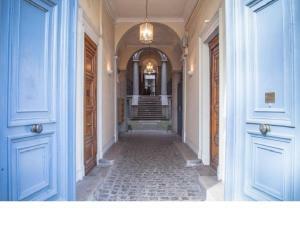 Good location, walking distance to the main sightseeing. Well equipped and very clean apartment. Communication with the host was smooth and easy. We highly recommend this accommodation for a city break in Lyon. 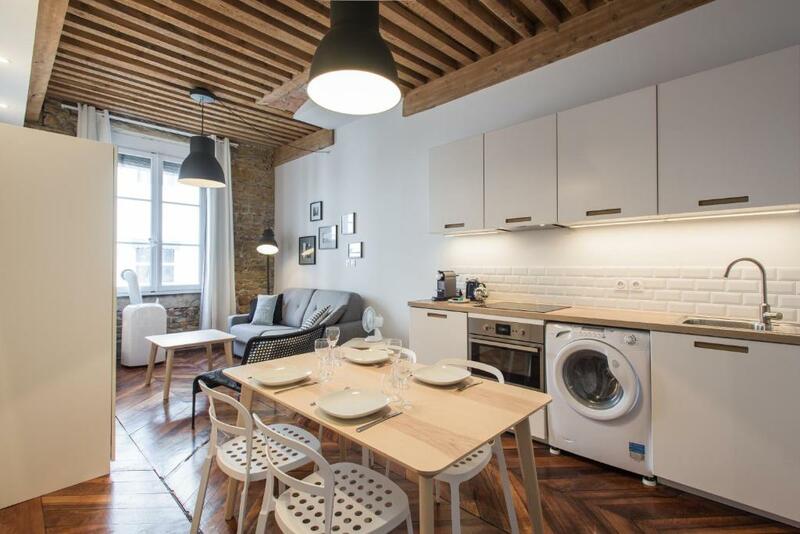 Very nice little apartment with lots of charm. It is very clean, quiet, well located. 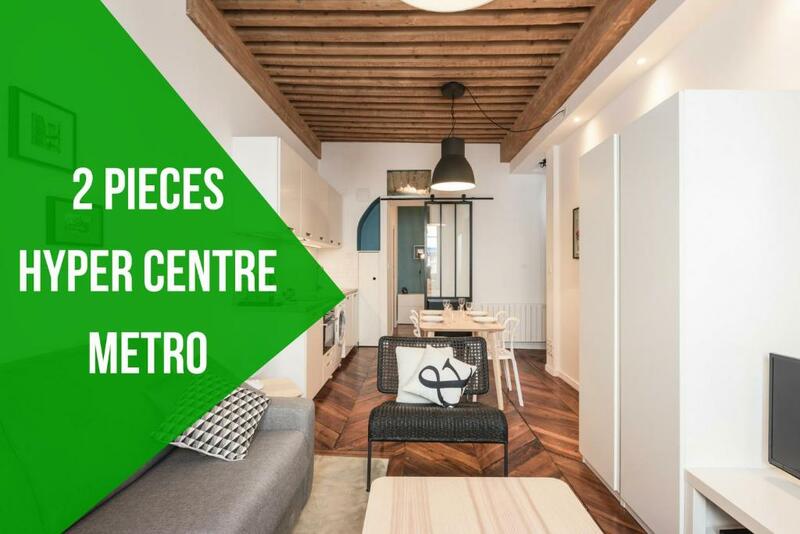 This was a dream flat for experiencing something of historic as well as contemporary Lyons. The location was great and the living space was well equipped. Lock in a great price for Le Royale – rated 8.9 by recent guests! One of our best sellers in Lyon! 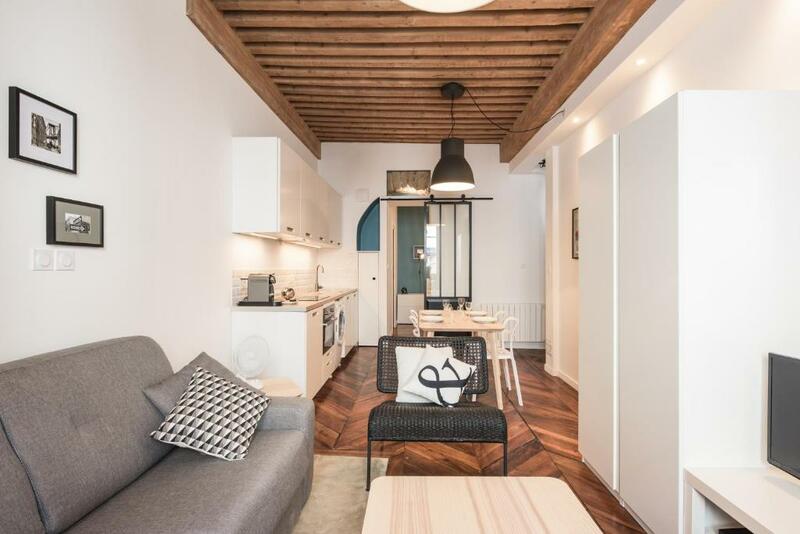 Featuring city views, Le Royale is located in Lyon, a 19-minute walk from the Museum of Fine Arts of Lyon. 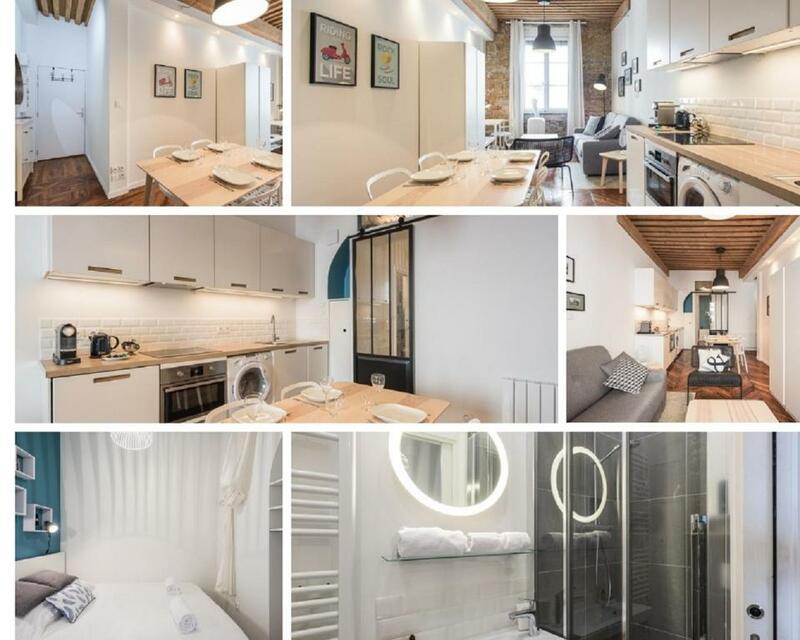 This apartment is 1.4 miles from Fourviere Roman Theatre and 1.5 miles from Musée Miniature et Cinéma. 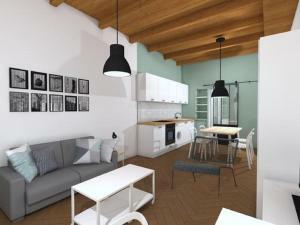 The apartment features 1 bedroom, a living room with a flat-screen TV, an equipped kitchen, and a bathroom with a shower. Private parking is available at the apartment. Basilica of Notre-Dame de Fourviere is 1.5 miles from Le Royale. Saint Exupery Airport is 18 miles away. 1st arr. is a great choice for travelers interested in culture, walking and ambiance. 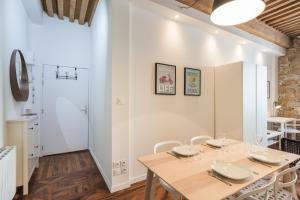 뀐 Located in the real heart of Lyon, this property has an excellent location score of 9.4! When would you like to stay at Le Royale? 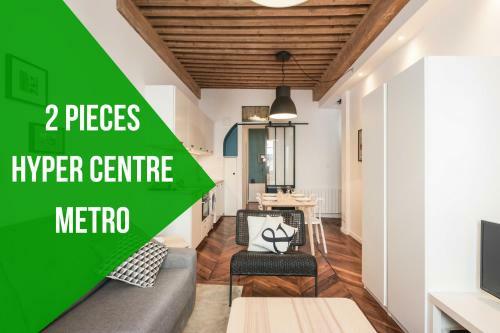 Mon appartement se situe dans le quartier des Pentes de la Croix Rousse, dans un immeuble construit au 18e siècle. Il est très bien desservi par les transports en commun et a été refait neuf ! A quelques minutes: l'Hôtel de Ville, la place des Terreaux, l'Opéra et la rue de la République. L'appartement est situé au 4 eme étage sans ascenseur . Area Info – This neighborhood is a great choice for travelers interested in culture, walking and ambiance – Check location Excellent location – show map Guests loved walking around the neighborhood! House Rules Le Royale takes special requests – add in the next step! A EUR300 damage deposit is required 7 days before arrival (about USD334.32). This deposit will be fully refunded 7 days after check-out, as long as there isn't any damage to the property. Le Royale accepts these cards and reserves the right to temporarily hold an amount prior to arrival. A security deposit of EUR 300 will be preauthorised on your credit card the day before your arrival to cover for any incidental charges during your stay. A damage deposit of EUR 300 is required. The host charges this 7 days before arrival. That's about 334.32USD. This will be collected by credit card. You should be reimbursed within 7 days of check-out. Your deposit will be refunded in full by credit card, subject to an inspection of the property. Everything has met our expectations, so nothing we did not like. Going up the 5 set of stairs with lots of luggage. The stairs to the 4th floor are a serious climb but did get easier. Also, I was forewarned by other comments. There is not a lot of space in the bedroom to store luggage. Once I unpacked I stored my suitcase in the living area. The location is fabulous Comfortable bed Clean linen Good shower with plenty of hot water Very comfortable Near shops and restaurants. Quiet Krups Nespresso machine with plenty of pods provided Importantly I felt safe and secure with the apartment owners in easy contact if any problems. Nothing to criticise, but a warning: the flat was on the fourth floor with no lift (impossible to install in a stone-built C18 townhouse), so a bit of a puff (especially in heat-wave conditions) for older people; all the more so with luggage. The room was on the 4th floor and there was no elevator. Getting there with large suitcases was quite problematic. I do not recommend for people with large suitcases or with physical restrictions that complicate access. The floors have high ceilings and there are many stairs. Very well located and pleasant. It has to be said we had a confirmation for 4 nites and at the last moment being at 19:00 the nite before we travel we where informed the last nite was not possible. Booking blamed the property and than the property blamed booking.com. To have uncertainity before u fly is not exceptable. We didn't like the tiny bedroom which you could not walk around the bed easily or that there was no window in the bedroom. The ensuite with toilet was extremely small. We couldn't open the only window in the apartment for fresh air. Everything was perfect. Quick response time when you have questions. Very friendly and service-minded. Really your 'home' in another town. 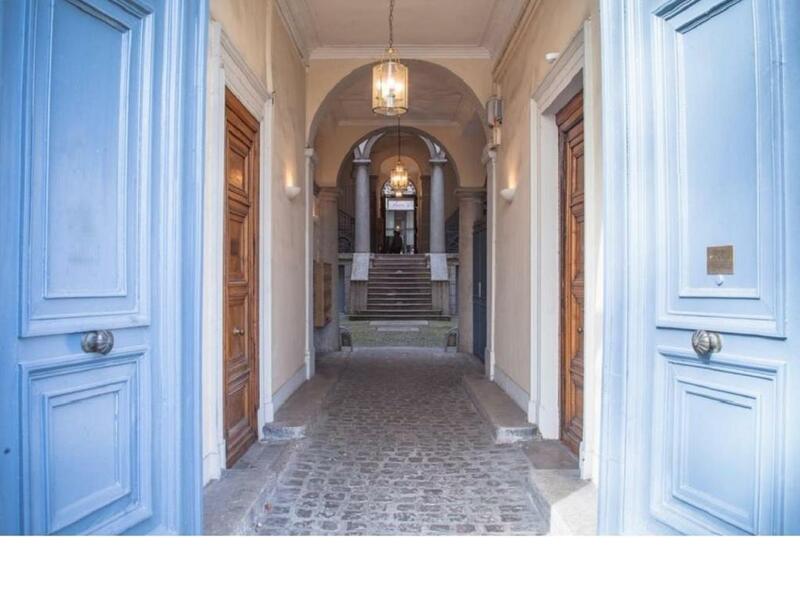 Very well situated in a beautiful old building. Can recommend it warmly. No internet for three days, I have photos of the modem to prove it. The air conditioning was broken, see photos. The supplied fan did not work. Multiple calls to management went unanswered, the internet and air conditioning were never repaired. The weather during our week was very hot and the air con didn't reach the bedroom, however there is a fold out couch in the main room were we relocated the main mattress too and slept next to the air con. Theres 130 odd steps up 4 floors to get to the room. Again due to the age of the building there are no lifts. Not for the unfit when you lug up 20kg bags however that just part of Lyon charm. 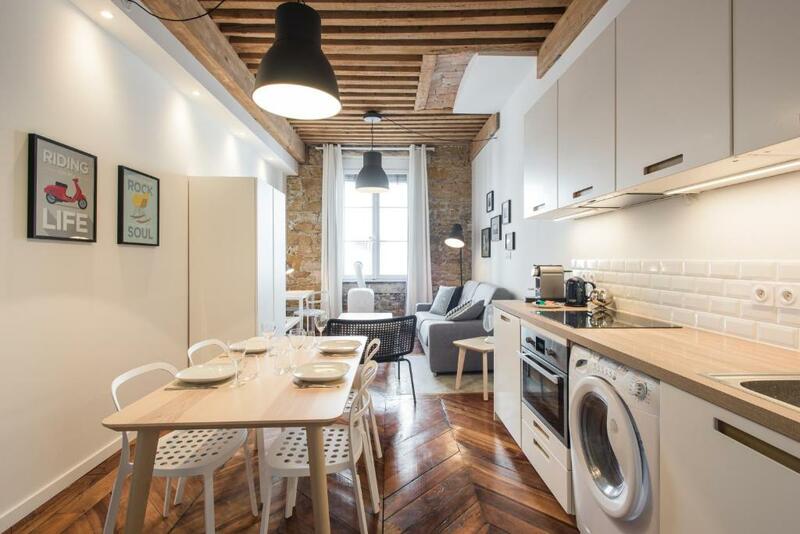 Location was ideal as its located in "Old Lyon" and only a short 5-15 min walk to tourist locations and restaurants. The room had everything we needed to cook and clean and also air con which is not common due to the age of the building. This building has one of the many "Traboules" located within it and good security to prevent other tourist going up you stairs. Staff were helpful and spoke good English. The apartment is set up for 4, however ideal for 2. This apartment was lovely! 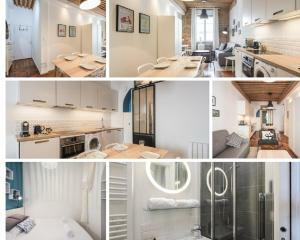 Great bed, nice furniture, nice shampoo & shower gel, alsno near the city centre. We were lucky and could park in front of the apartment (for free, in August it's free). We had a good sleep (sound proof). Great stay for a short stay (2 adults & 1 six y/o). On the fourth floor ( although we did realise this ), so was good for fitness, but not good if any mobility problems. Parking not that near, but managed to unload cases etc outside in the road. Very nice property in city centre. Felt very secure. Was a little problem with communication on when to meet and wifi did not work. The management team rectified this very quickly.